Click here and fill out the form and fill out the form on the giveaway tab. 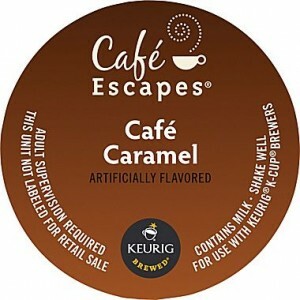 The first 10,000 per day this week will score a free Cafe Escapes 4-count K-Cup pack. It includes Chai Latté, Café Caramel, Café Vanilla and Café Mocha.